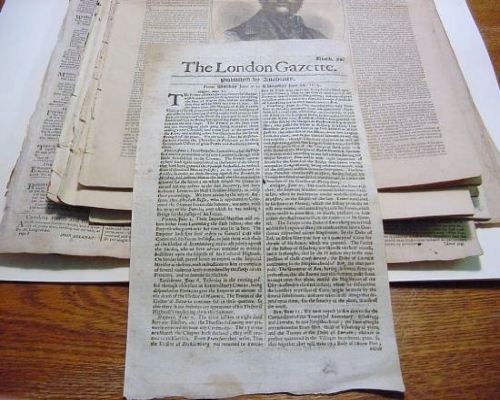 This issue of the London Gazette is dated June 10, 1675. The stories in these old papers are a touch difficult to read due to the writing style and the words that are used. Due to the content however, they would never make it in modern newspapers. 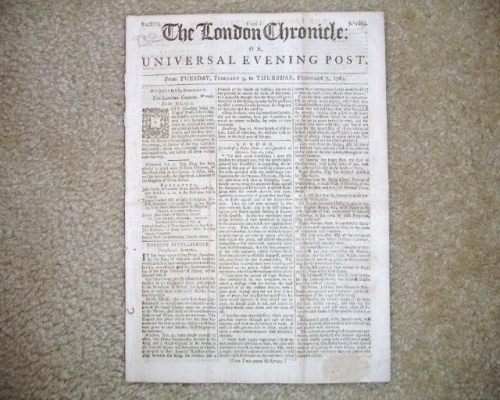 This issue of the London Chronicle or Universal Evening Post was issued on February 7, 1765. I see no sales ads in this newspaper but there is an official looking red ink stamp on page two. "Ast Thurfday being the King of Pruffia'a birth-day, his Majefty had in the morning a very fplendid levee when he received the ufual compliments from the Royal Family and Nobility here: his Majefty afterwards dined with his brother Prince Henry, who gave, in the evening, in honour of the day, a publick mafquerade, which was extremely numerous and magnificent, and lafted till feven o' clock next morning." This Sunday Times is a newspaper from London. 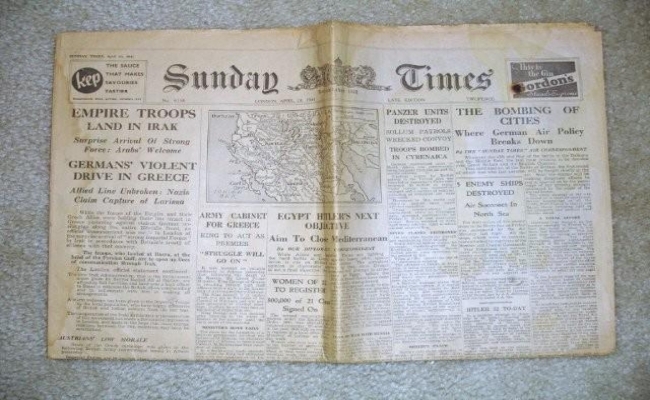 This issue was published on April 20, 1941 and the cost was Twopence. "Empire Troop's land in Irak." "German's violent drive in Greece." "Women of 22 to register." "The Bombing of cities; Where German Air Policy Breaks Down." "Soviet Refused to join Axis."